At 16 months of age, my son became enamored of the alphabet and more specifically the letter "O". By 18 months my son could identify all of the letters (upper and lowercase) and by 20 months he could tell you their sounds as well. Now at 3 1/2 years old he is actually reading. I have become "one of those moms," smugly showing off my son's talents at every opportunity. Reading "A Fly Went By" from A Happy Song on Vimeo. My purpose in this post really isn't to brag (well mostly). Over the last 2 years, friends, family and even strangers (who I have shown off to), have asked us how we taught him to read. I'll be honest, I don't feel like we did very much in the way of actual teaching. Buddy is VERY interested in letters. We did however provide encouragement and many tools to facilitate his learning. I've taken some time and compiled a good resource list for parents who are interested in encouraging their child to read. These are many of the tools that we use daily. Never underestimate the value of having lots of books around. I know that most parents have heard it a thousand times, but I'll state it again. I believe it is imperative for a child to be read to, to have books around and accessible, and also for them to see their parents reading. We make it a habit to visit the library every couple of weeks. I am an avid reader and often have books on hold there to be picked up. We also enjoy taking trips to the bookstore. A trip to the bookstore has proved to be a good reward for potty training success and also a great place to purchase gifts for birthdays. The first Alphabet book I ever purchased Buddy was Charley Harper's ABCs. He loved the illustrations and it was the jumping off point for his love affair with letters. I have been a collector of children's picture books for years and now his letter obsession has become mine. We are slowly amassing an impressive alphabet book collection. 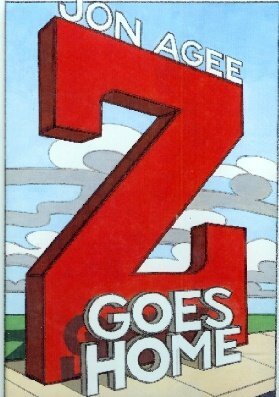 Z Goes Home and Alphabet City are good examples of books that use the alphabet in new and unique ways. What I haven't purchased myself, we borrow from the library. I've listed all of our favorites in AHappySong.com's store. My favorite two sets of flash cards are Eric Carle's Animal Flash Cards and My Favorite Things Flash Cards. I love that these two sets are larger and chunkier than the standard card set. They have beautiful illustrations and they are easier to clean-up after play. Another set that we've enjoyed is Scholastic's Hand's On Learning Touch and Feel Cards. Buddy loves alphabet puzzles. I make it a habit to check out consignment sales to see if they have any puzzles. I'm especially happy if I can find a large floor puzzle. Floor puzzles have a bigger impact and are easier for toddlers to put together (and for me). One of our favorites is the My First ABC Floor Puzzle. Buddy and Jellybean both love the Melissa and Doug alphabet puzzles (peg puzzle pictured right) and Buddy also likes I Spy A is for Jigsaw . 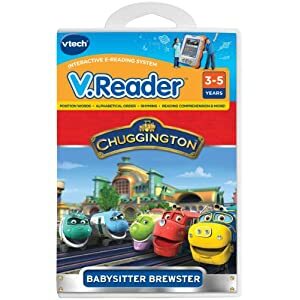 I purchased a V-Tech VReader for Buddy two Christmases ago. These are great gadgets that allow children to read on their own without the need for parental help. I love that the stories are interactive and that the words are highlighted as the story is read. My son enjoys the games that come with each cartridge and there is a ton of content that can be downloaded from the V-Tech website. You can find more recommendations on our AHappySong.com's Store Site. 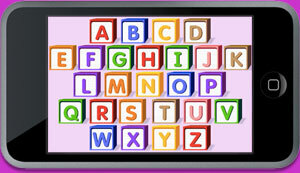 Starfall.com is a free educational resource that teaches the alphabet through interactive games and stories. It has learning tools appropriate for toddler age children and up. My children have spent hours on their main ABC interactive game which is now available as an app. We've also enjoyed their free alphabet printouts and short video clips that teach reading concepts. If you find that you are really enjoying it, they have even more content available to parents and to educators at more.starfall.com for a minimal membership fee. Last year we got our money's worth so we renewed our membership this year. Bembo's Zoo is another great interactive alphabet site. It is very well done and the flash animation is stunning. Every parent should be a regular on the PBS Kids website. That's where we go to find great games and video clips from all of my kids' favorite PBS shows. PBS Kids also has video player app available. Create a My Street account and save your favorite video clips from Sesame Street. My kids love the songs and interactive games that are available on SesameStreet.org. Preschool Pioneer is an online library of early reading resources made available through the Utah Educational Network. I imagine that there are similar websites available in every state. We've found great printouts, games and stories here. Funschool.com is similar to Preschool Pioneer, but more game driven. Many of the games are holiday themed and can be great supplements to holiday activities. Buddy absolutely loves Haunted Alphabet search and find game. It combines his love of letters with his love of all things spooky. 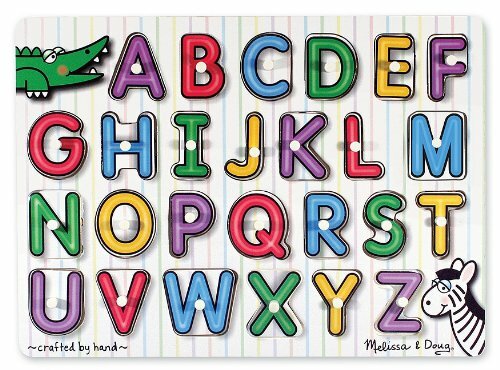 Yes, even YouTube can be a great resource for teaching the alphabet. I've posted here our ABC Favorites video list. A word of caution on this: You Tube is not a site you can allow your child to play on freely like the sites listed above. It requires parental supervision. There are a ton of videos that are not child safe and are too easily accessible for a computer savvy child. I've even run across videos that appear to be children's videos and then turn into something entirely different. I've discovered the only way to make it safe for my child is to make sure that I'm always in the room when he is watching and to create appropriate playlists with strict instructions that he isn't to click away from the approved list. We have found a great number of apps for our Iphone, Ipad and Android that are worth mentioning. This is a list of our VERY favorites. Those that are not free, are well worth the money. Some have lite versions that you should definitely download and try out. I know that a lot of parents believe that it is best to forgo television. I believe that, while there is wisdom in limiting television (or screen time) in the home, there are some pretty valuable shows out there that have enriched my son's learning experience. He has been able to understand and learn concepts through a television program that I had difficulty teaching him myself. Television, of course, should never be used as a substitute for teaching your child yourself or as a babysitter (though I am guilty of using it for the latter more than I'd like to admit). Super Why (Buddy LOVES Alpha Pig), Word World, Word Girl, Leap Frog's Amazing Alphabet Park, Sesame Street and The Electric Company. I was amazed when my son understood the concept of "sh" as well as silent "e" after listening to two different songs on The Electric Company. Most of these television programs are available on Netflix or at PBSkids.org. Singing is natural way to teach your child about words. My son loves to sing and to be sung to. One of Buddy's first (and current) favorite songs is the ABC song. We have found several different versions of it to different tunes. He loves to pick which version we'll sing. It's also fun to use alternate words to well known songs. Buddy was very enthusiastic about having the ABCs on the bus when we sing, "The Wheels on the Bus" (i.e. The Bs on the bus go buh, buh, buh). He was also surprised to hear that there were ABCs on "Old McDonald's Farm" (...and on that farm he had an "A" E I E I O...). We like to play word games at our home as well. Sometimes we'll take turns making long lists of words that begin with the same letter. I always try to be a little outrageous with the words I choose. This builds his vocabulary and makes him giggle. (i.e. K- Kangaroo, "Kapow", Kung-fu, Kite, Kick, Kamikaze, etc.) When learning sight words in the Summertime, I would use sidewalk chalk and write out simple commands like "Run", "Spin", "Jump" and then have him do whatever I wrote down. Once Buddy began understanding and recognizing the shapes of the letters, I was stunned when he began seeing those shapes, in the environment around us, when we took walks around the neighborhood. One stick looks like a "Y", that crack in the sidewalk looks like an "R". This has become a fun game for us on walks. My kids love searching for letter shapes in the everyday objects around us. We love having alphabet art hung up in our children's rooms. My favorite prints have been found through Etsy and through Studio6. Go online and find something to your child's taste. I hope that this resource guide will prove valuable in encouraging your child in a love of letters and of reading. If you have additional resources to add (websites, apps, books, activities, etc) Please leave them in the comment section. You did it perfectly. I am following along and love to get to know new gals in blogland. I have a little boy in my children's fellowship who is reading at three, and am astounded at his skill. Thanks for providing this list of resources. Returning the Linky love from Happy Hour Projects, thanks for coming by! Those are great resources. We're just starting on reading skills here. Thanks for coming by today! And also, thank you for your thoughtful comment. great post, i'm going to have to use some of these ideas for my daughter. following you back! thanks for leaving such a nice comment on my blog, nice to meet you! Thanks so much for visiting my blog. I'm now your newest follower. Thanks for stopping by. Newest follower to your blog and pinterest!! Aw! 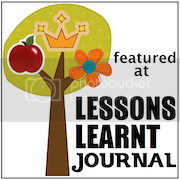 What an absolutely wonderful resource you have here for parents, teachers, and babysitters! This is just wonderful. I'm happy to be your newest linky follower and look forward to coming back and learning more from you soon! We think you'd love See Beautiful too! Your son is amazing! I have a friend who is really struggling teaching her son to read. I am going to point her to this blog. So much wonderful information. I am following through the linky blog hop. Hope you will visit and follow back! Thanks! Wow, that is great! My daughter learned her letters on her own, but we haven't done much besides that since we have decided to send her to a Waldorf School where they won't teach her to read until she is 7. Thank you for sharing at Sharing Saturday! I hope you will join us again this week!